I am grateful to barrister James Miller for sending me a copy of the decision of HHJ Truman in Nicholls -v- Nicholls (19th June 2018), available here NICH19062018APP. The judgment is solely concerned with costs in relation to an action brought by one executor against another. The claimant was entitled to costs out of the estate, 50% of the costs were recoverable from the defendant. Further 50% of the defendant’s costs were recoverable out of the estate. 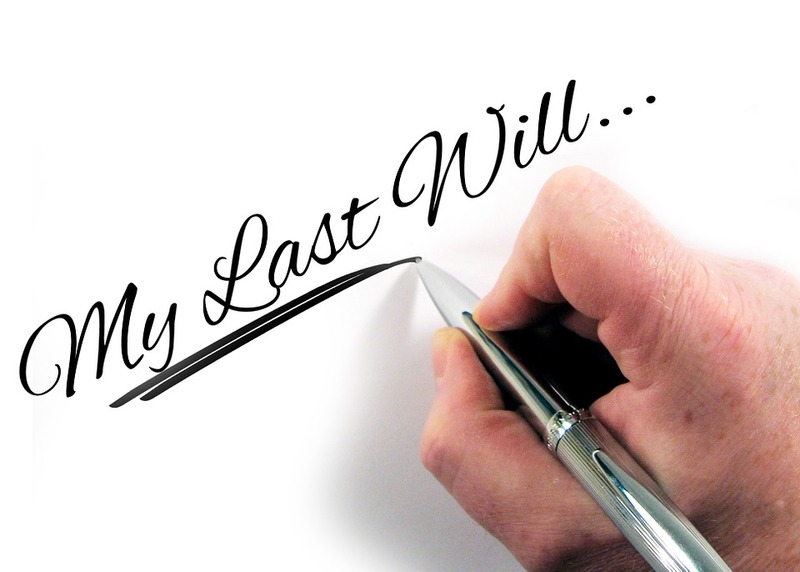 The claimant issued proceedings against a fellow executor, seeking their removal as an executor. The defendant wished to issue proceedings in relation to money paid over to a relative whilst the deceased was still alive. It was established that these proposed proceedings stood a 30% prospect of success and were unlikely to be cost effective. The defendant then confirmed that he did not wish to bring proceedings. It was no longer necessary to seek to remove the defendant as executor and the residual issues relating to . The only issue remaining was the costs of the proceedings. The judge reviewed the factual history in detail. 58.Considering the matter overall, I am entirely satisfied that the claimant is entitled to an indemnity from the estate in respect of his costs. That does not appear to be a viewpoint challenged by the other beneficiaries apart from the defendant. I consider that it was perfectly proper for the claimant to issue proceedings, that those proceedings were not premature and that they were entirely necessary to resolve the deadlock regarding the alleged misappropriation claim and to finally get the chattels distributed and the question of storage charges resolved. All those matters were resolved by the proceedings and I am satisfied that the claimant is entitled to an indemnity. 59. With regard to the defendant’s costs from the estate, I am equally satisfied that the costs that he has incurred in relation to the alleged misappropriation issue were not properly incurred. I find that he should have considered his position in March 2017, once he knew of the beneficiaries’ stance, and he should have further considered his position again when proceedings were issued. He should have taken proper account of the views of the other beneficiaries and he should have considered the costs risks et cetera. He could and should have been more neutral in respect of the claimant’s proceedings before the court. Instead, he chose to actively defend. 60. I can well understand that the beneficiaries, in light of the defendant’s behaviour on that issue, would be deeply upset if the defendant were entitled to his costs from the estate, when he has, on the face of it, been unreasonable and when I have considered that his costs were not properly incurred. I consider that as the defendant has behaved unreasonably and his costs were not properly incurred, he is not entitled to an indemnity from the estate in respect of the misappropriation issue. 61. As I do not consider that the defendant should have an indemnity in respect of the costs of that issue, I do consider it appropriate to then go on and consider whether or not the defendant should pay some or all of the claimant’s costs. I am aware that that is not necessarily the process that has to be followed. There have been cases where an order for costs has been made where it is considered that a person’s behaviour has been unreasonable but they have still then been entitled to recover those costs as well as their own from the estate. However, in this particular instance, I consider that this is an appropriate way forward in view of what has occurred. 62. When I consider whether the defendant should pay some of the claimant’s costs, I should also consider the fact that mediation did not occur and this was on the basis, apparently, that the beneficiaries were not prepared to consider any settlement where the defendant’s costs would come out of the estate. It appears to be more of the case that they were not prepared to consider mediation, full stop, if the defendant wanted his costs from the estate, rather than consider what matters might be resolved if they had mediation. 64. At paragraph 51, it is plain that a finding of unreasonable conduct constituted by a refusal to accept an invitation to participate in ADR does not result in an automatic costs penalty, it is simply an aspect of the parties’ conduct which needs to be addressed in a wider balancing exercise. It was said that it was plain both from the Halsey case itself and from Lady Justice Arden’s reference to the wider discretion arising from such conduct in the Hewitt case, that the proper response in any particular case may range between the disallowing of the whole or only a modest part of the otherwise successful party’s costs. 66. I have said that I consider that the claimant’s costs were properly incurred and therefore, he is entitled to an indemnity, however, the question of what costs the defendant should pay or what costs the defendant himself is entitled to is affected, in my view, by the view of the claimant, apparently with the blessing of the beneficiaries, that no mediation should be engaged in. 67. I also consider the fact that in relation to the chattels issue, four out of the five beneficiaries had been acting inappropriately in the lead-up to the proceedings and it does appear, from the correspondence that I have seen that that inappropriate behaviour on behalf of a number of beneficiaries in this estate, continued after the issue of proceedings. Whilst the defendant did not provide a key when asked, it did seem to me from the correspondence that proper arrangements, other than the attempt by the claimant’s solicitors, were not made by the beneficiaries to see about resolution of this matter until after the hearing in December 2017.At that particular point, when the parties finally started to talk to each other, resolution was achieved and, again, I note the fact that the question of storage charges were resolved. There was a pragmatic resolution on the part of the claimant under which the estate accepted some liability for the storage costs. Whilst the claimant might consider that that was a pragmatic solution, because the costs in relation to the storage charges would have been utterly disproportionate if they had gone through to the trial, the fact remains that the resolution was not entirely in the estate’s favour, but did carry some benefits to the defendant as well. On the issue of mediation and chattels therefore, it does seem to me that it would be fairer for there to be some sharing by the beneficiaries as a whole of the difficulties occasioned by the various persons’ behaviour in these proceedings. 68. Considering all the factors I consider that the appropriate decision is that the defendant should pay 50 per cent of the claimant’s costs of this action. I also consider that the defendant’s actions in relation to chattels and mediation were not such as should deprive him of an indemnity and I therefore hold that he is entitled to an indemnity from the estate in respect of 50 per cent of his own costs of this particular action. 69. In summary therefore, the claimant is entitled to an indemnity from the estate for all of his costs, and he is also entitled to an order that the defendant should pay 50 per cent of the costs of the action, and the defendant is entitled to an order that there be an indemnity from the estate in respect of 50 per cent of his own costs. That figure obviously does not include the sum that I have directed that he should pay to the claimant in respect of the claimant’s costs.